Angela Langford produces a range of natural and organic skincare products which can be purchased online, at www.angelalangford.com. 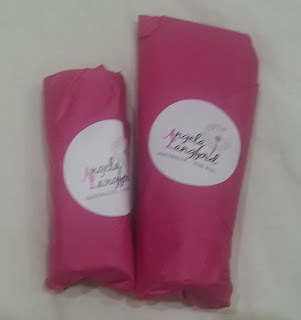 Angela kindly sent me some samples that are safe for pregnant and nursing mums. I like the explanation of how she makes the ingredients work together on her 'about' page. Many other products claim to be natural and to have benefits but with no explanation of how and why! being 21 weeks pregnant and still breastfeeding my 20 month old, this is something that is important to me. Angela suggested this for me because of my spotty pregnant skin. She says it is great for treating skin that is easily inflamed and out of kilter. She actually developed this product for use in pregnancy when skin can be more sensitive, easily upset and may sometimes look a little lack-lustre. I tested the face oil for a couple of weeks, and it seems to have really helped my hormonal pregnant skin. My only comment would be it's a little strongly scented for my personal preference as it is very 'flowery', but that's just a personal thing. the benefits definitely outweigh this! It doesn't leave the skin oily, and it only takes two squirts for the face and neck. 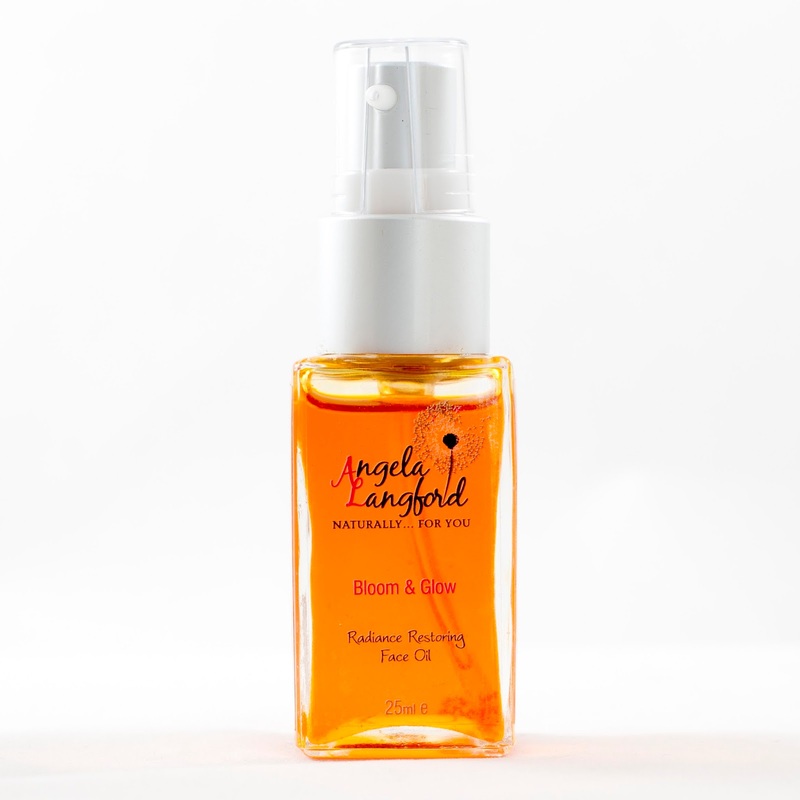 'Bloom & Glow' features oils that are high in skin loving omega 3 and powerful antioxidants. Organic Rosehip, Evening Primrose and Chia Seed are healing, repairing and help improve skin's elasticity; whilst Bisabolol from Chamomile and Seabuckthorn Plant Extract calm and sooth irritated and upset skin. Organic Jojoba mimics our skin's natural sebum and is very balancing. Neroli and Rose Geranium essential oils smell wonderful, balance hormones and clear congested skin. It's a new mum curse I'm afraid, trying to make sure our hands are constantly germ free yet changing nappies and washing bottles every 2 seconds with no time to don the gloves! 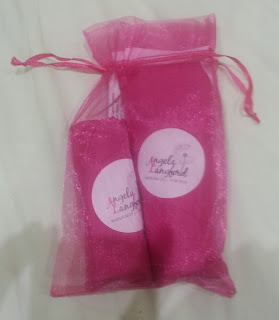 Angela tells me that she has specifically chosen ingredients that will heal, nourish and soften hands, leaving them silky smooth and smelling wonderful too! 'In Safe Hands' features skin softening Rice Bran, Calming and soothing Marshmallow, Marigold & Evening Primrose Oils. These products are quite pricey but last a long time, and as I said at least you know exactly what is in them, truly no nasties!